The Board of Directors of Harare International School (Zimbabwe) is pleased to announce the appointment of Arden Tyoschin as the new Director for the school, starting in August, 2018. Mr. John Gates will continue as Interim Director for the 2017-18 school year. 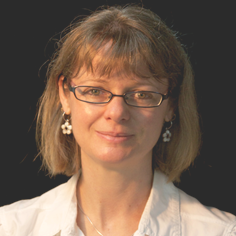 Arden is currently Director at Nanjing International School, P. R. China and has held other positions at the school since 2006. Her B. Ed. is from the University of Calgary (Canada) and she earned a Master of Arts degree from Moscow State University of Culture (Russia). Arden’s spouse, Andrei, will join her as a teacher at HIS. 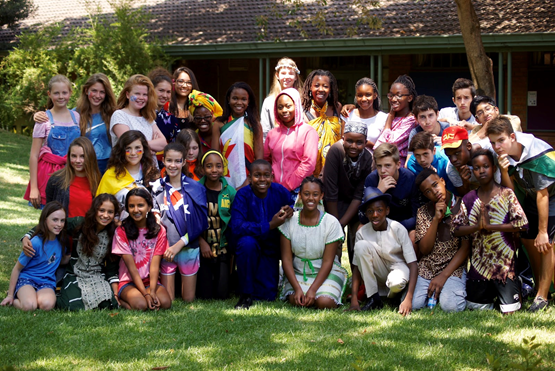 Arden writes that she “is overjoyed about joining the diverse and dynamic HIS community and living in the beautiful country of Zimbabwe.” The Search Committee, Board of Governors and Search Associates would like to thank all candidates who expressed interest in the Harare International School Director position, and to everyone who assisted and supported the search process. The opportunity is now open to apply for the position as long-term Director to one of Southern Africa’s foremost international schools. 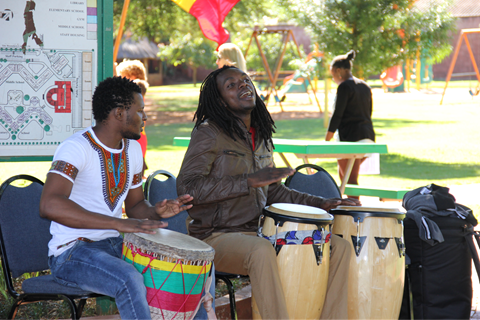 Founded in 1992, Harare International School (HIS) is an independent, non-profit institution, serving students from Early Childhood 1 to Grade 12. Sponsored by the U.S. Department of State, the educational program is modeled along North American and International Baccalaureate guidelines. HIS is proudly an IB Continuum School, offering the Primary Years Program, the Middle Years Program, and the Diploma Program. We are fully accredited by the Council of International Schools and the New England Association of Schools and Colleges. HIS is intentionally a non-selective school, focusing on the whole student and preparing them to be successful modern global citizens. We have an enrollment of 444 students; 232 in Elementary and 212 in Secondary. The student body represents 46 nationalities with 34% from Africa, 25% from Europe, 25% from the United States and Canada and 15% from Asia. Faculty members represent 16 nationalities and most hold advanced degrees. Of the 33 graduating seniors in 2016 there were 31 IB Full Diploma candidates, 22 of whom earned the Diploma with an average point total of 30. Most of our graduates go on to university either in the US, Canada or the UK, many with merit scholarships. 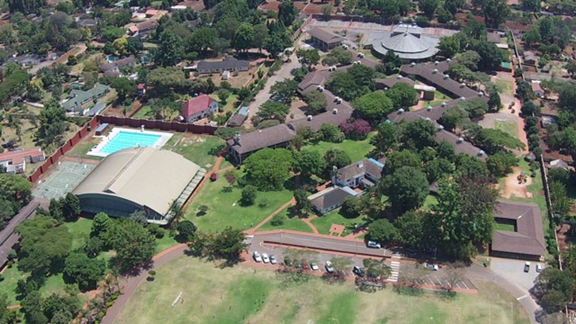 The unique and beautiful campus, situated on 22-acres in a northern suburb of Harare, preserves green spaces as the backdrop for a school focused on having a profoundly positive impact on the personal lives of its students, as well as assuring them a great education. Facilities include an architectural award winning Performing Arts Centre, fully enclosed gymnasium, Media Centre and a recently finished full size swimming pool. HIS is a flagship school for technology in Southern Africa. We believe that technology is an essential tool for 21st century teaching and learning, and our Tech Integration and Professional Development team ensure that a wide variety of technology is used across the school, creating an environment that fosters creativity, innovation, critical thinking, problem solving, and communication. Ipads and Macbooks are widely used, with a 1:1 program for Middle and High school. Education at HIS is more than academics, and as a part of our passion is to create global citizens, students at all levels are involved in some form of community service. HIS is also an active member of the International Schools of Southern & Eastern Africa (ISSEA) League, which promotes regular sporting competitions, intellectual pursuits and fine and performing arts activities. There is a comprehensive after school programme of activities for both our ES students and MS/HS students including: Student Council, National Honor Society, Model United Nations, STEM (Science, Technology, Engineering and Math), Interact, Orchestra, Marimbas, Choir, Drama, Chess Club, Robotics Club, Global Issues Club, Green Team, Basketball, Volleyball, Soccer, Track & Field, and Swimming. During 2015-16 HIS hosted the ISSEA Soccer Tournament, and this year 2016-17 is hosting the Arts and Drama ISSEA Tournament. HIS is owned by members of the Association, consisting of all parents or guardians of the children enrolled in the school. We have an involved and active PTO, and a seven member Board, two members appointed by the US Ambassador and five elected by the parent body. The US Embassy offers support through an annual grant from the Office of Overseas Schools. Experience and passion for the IB educational system. Financial experience in managing budgets and directing limited resources for maximum effect. Experience working in culturally diverse and politically complex environments. An authentic communicator, committed to transparency and openness. A collaborative, inclusive, listening leader who can make difficult decisions. A community-minded networker and relationship builder. A vision to market HIS as a flagship international educational establishment. Inspiring, encouraging and forward-looking in uncertain environments. HIS offers an initial contract term of three years (renewable), with a view for long term appointment. The remuneration package is commensurate with the responsibilities of the position and is competitive within Africa. Benefits include furnished housing, utility allowance, use of a school vehicle, comprehensive medical insurance, life and disability allowance, annual home leave, airfares at the beginning and end of contract, settling in allowance, shipping in and out allowance and professional development opportunities. HIS has appointed Search Associates as consultants, with Jim Ambrose and David Cramer as the lead consultants. The deadline for applications is March 20th 2017, however, if there is not a strong candidate pool the committee reserves the right to extend the deadline to August 15th 2017. Candidates are asked to submit a letter of interest and the requested materials listed below as early as possible. Assuming the March 20th deadline, Skype interviews will be arranged and finalists will be chosen by April 7th, and interviews scheduled on-site for May 6-9th. Semifinalist candidates will be identified by Search Associates and their dossiers forwarded to the school for review on an ongoing basis. A letter of application, explaining your strengths as a candidate and why you are interested in becoming the Director at HIS. I remember the first time I walked on the campus at HIS and thought, “Wow, I’d like to stay here!” During the next few days of my visit as I got more familiar with the school, its students, its faculty, its programs and its community, my initial reaction, that it is a special place, was confirmed. HIS is a well-developed school on all fronts. It has a strong IB program, an experienced faculty and administration and a beautiful and functional physical campus. One gets a sense of this from the website but actually being there and seeing the school in action confirms this impression. Having said that, the school, as with all international schools, is not without it challenges. Due to the continuing political and economic environment, HIS has seen a loss of enrolment (about 9%) over the past few years that has put pressure on its finances. The new director will have to deal with this and as such the school is looking for someone who is not daunted by this reality but rather is inspired to take on the challenge! Due to the unanticipated departure of its current Director (for family health reasons), the HIS Director role has been temporarily filled by long-time international school head, John Gates as an interim measure, making sure that HIS continues to provide a world-class education to its students. This is a great opportunity for an experienced school administrator to work with an outstanding group of people in a very interesting part of the world.